David Gillespie is neither a dietician, nor a psychiatrist. And yet he warns us against sugar* and against psychopaths, the latter being the slightly less dangerous of the two, it seems. Gillespie points out that the term “psychopath” is not defined in DSM, (the book of psychiatric diagnoses), “Antisocial Personality Disorder” being the closest thing to it, a term which makes one think of Banksy, rather than Ivan Milat. But Gillespie likes the word ‘psychopath’ – it’s colourful and it’s useful shorthand for “Someone Like Ted Bundy or Idi Amin But Not Necessarily a Murderer”. A psychopath, Gillespie says, is charming, impulsive, needs stimulation and has a grandiose sense of self-worth; but “the single biggest defining psychopathic trait is their total lack of empathy” (which may be due to an anomaly in brain structure). Interestingly, avoiding punishment does not motivate psychopaths, but trying for rewards does. Gillespie posits that psychopaths experience emotions (“gut reactions” such as fear), but do not experience feelings (“the higher order thought models we create based on emotions” such as anxiety). “To the psychopath, information has no emotional weight. It is all just information. Telling them you like red cars has the same weight as telling them your daughter attempted suicide”. Gillespie uses the word ’empaths’ to describe the rest of us “neurotypicals”. Their sense of superiority, absence of interest in the welfare of others and reward-seeking behaviour makes them bad news. In Taming Toxic People Gillespie seeks to advise the sugar-eating, non-psychiatrist empath how to deal with the psychopaths in his or her life, how to minimise their deleterious effects, not how to “tame them”, it being impossible to change a psychopath. According to Gillespie, psychopaths are so prevalent that he is “absolutely certain there is at least one in your life” (just not, hopefully, an axe-wielding one). No, not all are violent – he or she might be – gasp – Mother Teresa. 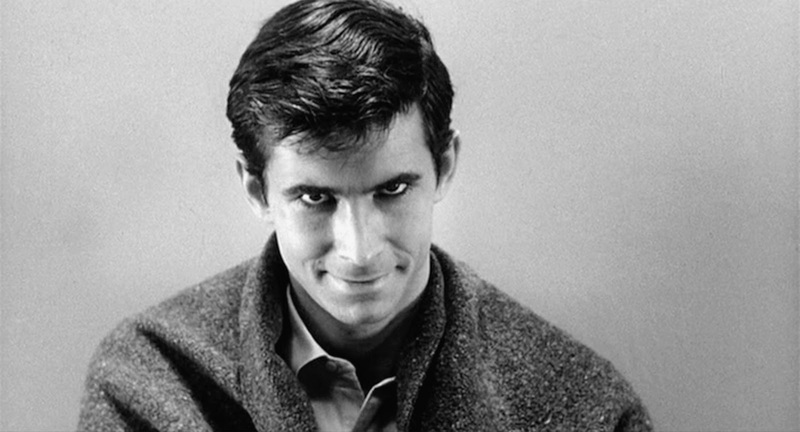 Norman Bates and Hannibal Lecter were too crazy to be true psychopaths, but Gandhi and Jesus might have qualified. Gillespie says that your mother, neighbour, child, spouse or boss may qualify. Gillespie’s advice, for those within the purview of a psychopath is – run. If you can’t run, deal with them, limit their chances of attacking you. If your boss is the psychopath, “…you must leave your passion for your job at home. You must become a well-mannered, honest, polite, compliant, precise employee who does whatever they are told no matter how pointless.” Document and confirm everything and look for another job – but not one at the late Sister Teresa’s “Order of the Missionaries of Charity” which, Gillespie claims, financed the saint’s lavish lifestyle and very little charity . This is an interesting book and contains some excellent advice, but the list above demonstrates its flaws well. This sort of list appears useful at first and has the appeal of certainty and concision, but its pop-science, tick-a-box nature means that it could apply to a non-psychopath whom the reader just doesn’t happen to like. Similarly, the statement that as many as 1 in 80 in the general population and 1 in 5 in senior executive ranks could be psychopaths calls for challenge. Rule #3 – Assume they are cheating on you. Rule #4 – Work on relationships outside your relationship with the psychopath. Rule # 5 – Keep your finances separate. Rule # 1 – Do not confront them. These are wise words, as every divorce lawyer knows, and it is these sorts of hints which make the book valuable, despite its sometimes dubious and sensationalist claims. Gillespie says that psychopaths are drawn to jobs which give them power over other people; they believe they are superior; they can be charming and they will lie, so he says that “the higher you go in any organisation, the more likely you are to encounter a psychopath”. The no-doubt rigorously scientific “The Great British Psychopath Survey” tells us that the professions most likely to attract psychopaths are “CEO” (rather a wide grab-bag) and Lawyer. Accounting is said to be among the ten professions with the least number of psychopaths, (which anyone who has anything to do with bean-counters knows is just wrong). A surprisingly small number of criminals are said to be psychopaths – although those that are, are lethal. This is all questionable too. Common sense tells us that there is likely to be a greater percentage of psychopaths in the lower socio-economic strata, because the traits which enable some psychopaths to flourish just as surely doom the rest. And any of the aforementioned divorce lawyers (whether psychos themselves or not), can tell you that the chances of a client’s spouse being a psychopath are rather greater among those spouses who moved into the client’s house the night they met her at the pub, than among those who met the client at an exclusive cocktail party in Cannes. In Gillespie’s opinion, the number and expression of psychopaths are rising and that is due to the growth of individualism – “We didn’t mean to do it, but we have created a perfect world for psychopaths. If I were to sit down with the express aim of designing a society where psychopathy could flourish, it would be almost identical to any modern capitalist society, or at least, where most are heading very quickly.” On a so-called “individualism score” – Australia came second on the list of countries where you are most likely to find a psychopath “being themselves.” You know what country came first. You’re pretty unlikely to encounter one in Guatemala, apparently. This chapter seems rather forced, an attempt to push mental difference into the mould of Gillespie’s world view. This becomes rather irritating when the reader is subjected to Gillespie’s fervent Trump-bashing. Have some empathy. *(See David Gillespie’s “Sweet Poison” books).